The Red Bull Junior Programme is split between 3 drivers. The one they like doesn’t have a Toro Rosso seat. Daniil Kvyat fell foul of the ruthlessness in the Red Bull Programme in 2016. In 2014, he was fast tracked into Formula 1 and had a good first season with Toro Rosso. He did everything he should, highlights being breaking the record for youngest points scorer and qualifying 5th at the Russian Grand Prix. He finished below more experienced teammate Jean-Eric Vergne in the championship but got the drive to replace outgoing Sebastian Vettel and out-scored Daniel Ricciardo in 2015 by 2 points. But the writing was on the wall (in Dutch). Max Verstappen had stunned in 2015. He took two fourth place finishes. Became the best overtaker in F1 and scored the most points for a Toro Rosso Driver ever with 49. (Vettel would have scored 93 points with the current points structure in 2008, but he was Red Bull’s 4x World Champion). And he did this all at 17. Red Bull wanted him at the top and the pressure mounted on Kvyat. He knew he had to prove himself and a podium at China looked to be just that. However, at Sochi, it all went wrong and Kvyat’s actions put Sebastian Vettel, his teammate Daniel Ricciardo and himself out of contention. 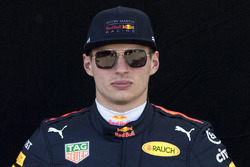 He served a 10 second stop go for his actions and Red Bull made their move before the next race in Spain promoting Verstappen to Kvyat’s seat and moving the Russian to Toro Rosso. 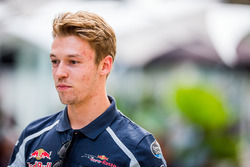 Kvyat was a broken man and Verstappen’s win in Barcelona would only seal the deal. He was eventually dropped by Toro Rosso towards the end of 2017 in favour of Pierre Gasly and Brendon Hartley. 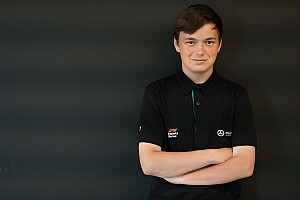 He was picked up as a development driver by Ferrari in 2018 . But with Ricciardo’s move to Renault and Hartley falling out of favour, Kvyat was back. He will start his third career chance with Toro Rosso in 2019. Alex Albon was the pleasant surprise of the 2018 F2 season winning him a works Formula E drive and a return to the Red Bull junior fold with a 2019 Toro Rosso seat. At the beginning of the year he barely had a race seat. The British born Thai driver’s debut Formula 2 season for ART in 2017 was nothing special. He finished 10th. The standout drive being an ultimately lost defensive drive against the relentless Charles Leclerc at the final race of the year in Abu Dhabi. For 2018, he was dropped by ART and picked up by DAMS, despite not having enough sponsorship to see out the season. This meant he had to perform. And he did. Points in the first feature race in Bahrain and then pole in Baku before his first F2 win. He became a frontrunner. He secured pole at the next two rounds and strong points finishes to the end of the season. 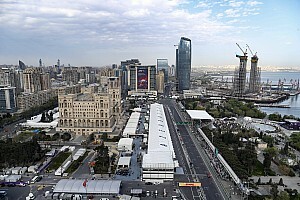 After McLaren junior Lando Norris’s Sochi debacle, he vaulted to second in the championship, with one round remaining. During the season, people called on Red Bull to reaccept Albon into the young driver programme after he was previously let go but he was snapped up by Nissan first for their Formula E outfit alongside Season 2 champion and Le Mans winner Sebastian Buemi. However, the F1 drive wouldn’t go away, and Red Bull bought him out of the contract with Nissan, returning him to their young driver fold with the 2019 Toro Rosso seat. Dan Ticktum is the current Red Bull “Golden Boy” coming up through the ranks. It is well publicised that he would be in an F1 seat if the super license rules were relaxed. But he is 5 points short of eligibility. Prior to his Macau win in 2017, and subsequent McLaren Autosport BRDC award in the same year, Ticktum was most famous for his “disturbing and dangerous episode” in which he deliberately crashed into and took out Ricky Collard under safety car conditions after they had a first-lap collision. 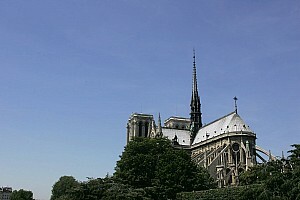 He received a two-year ban from racing as a result. For many this would spell the end of a career but Ticktum returned and built up good results including nearly winning the FIA F3 European Championship, 2 Macau Grand Prix victories and a podium in a guest appearance in GP3. Ticktum is the next big name in the Red Bull queue but is required to take part in another junior season to build up his points repertoire. 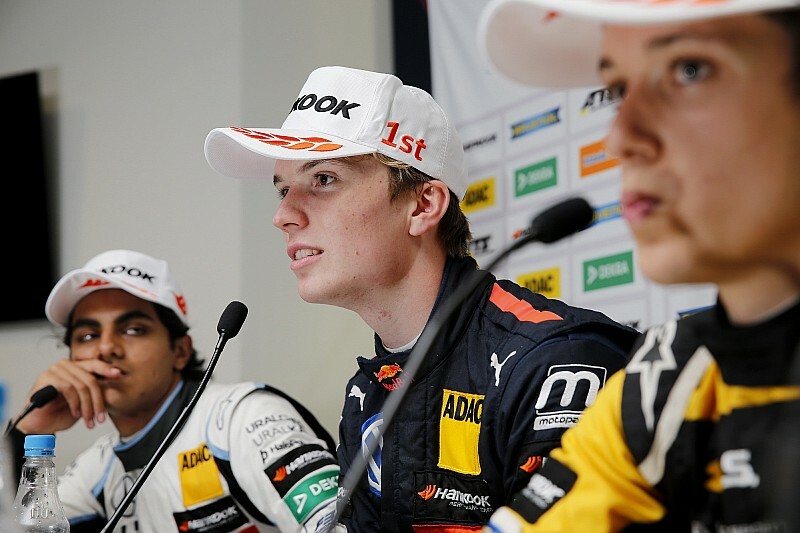 These 3 drivers are the current Red Bull Junior Programme, and two of them are previous outcasts. There are two ways to look at the reappointment of Kvyat to the Toro Rosso F1 seat for 2019. The first being that he is the easy option “stop-gap” whilst other drivers mature and can take his place. Appointing him from a development role would not have been difficult and the team knows him. He can be trusted to keep the seat warm. The other is that Red Bull genuinely believe he has mega speed. With more experience he can be exceptional. With time on the sideline, he has mentally recovered from the previous trials and they can now extract that raw speed fully. Albon’s reappointment was touted during the 2018 F2 season but no arm was outstretched until Ticktum failed to win the F3 championship leading to unnecessary legal negotiations with Nissan who had picked him up for 3 seasons. The timing implies another stop gap routine until Ticktum becomes available. The solace for Albon is that Red Bull did go to the effort of extracting him from his FE contract when they could have just retained Brendon Hartley for another year. With the looming Ticktum, however, it is much more likely that the two are “filler” drivers, required to do a solid job and not to cause crises for the top team before the next star arrives. 2019 becomes doubly important for both Kvyat and Albon as it is effectively a trial run for Ticktum’s 2020 teammate.